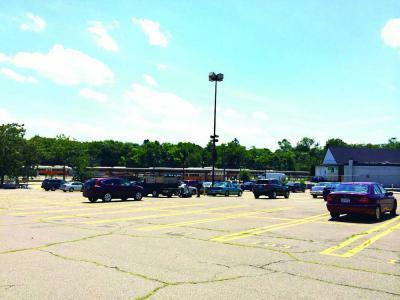 A Hyde Park-based charter school is in talks to buy an MBTA parking lot in Mattapan Square and build a new school next to the T trolley and bus station along River Street. While the $1.5 million sale to Boston Preparatory Charter Public School, if executed, would fill the space at an often half-empty parking lot with a new building, it would also squelch earlier hopes for using the state-owned land as the anchor for a mixed-use, transit-oriented development – something that state lawmakers say should remain the top priority for the site. The 1.75-acre parcel on River Street has been the focus of previous, unsuccessful efforts by the MBTA to find private partners who would buy or lease the property for redevelopment. In 2007, the T used an agent to issue a Request for Proposals (RFP), which yielded interest from just one – a community development corporation. But that proposal fell through when the real estate market took a nose dive in 2008. A second RFP was issued in 2012, but no bids were received. Pesaturo said that once a purchase and sales agreement is executed, the school would have nine months – or until April 30, 2015 – to “obtain the permits necessary to move forward with the project. The permitting process will include community meetings on the school’s plans for the site,” he added. The Boston Preparatory Charter Public School is now located at 1286 Hyde Park Ave. Founded in 2004, the school serves 350 students in grades six through twelve with 35 percent of the student body hailing from Dorchester and 10 percent from Mattapan. The school bills itself as a safe and strict environment with an emphasis on preparing each of the students to complete a four-year college. It follows an aggressive 190-day schedule, with an eight-and-a-half hour school day, and mandatory Saturday sessions for students who are struggling. The Boston Prep Charter School would be one of four incoming charter schools to the area, according to state Sen. Linda Dorcena Forry. Dorcena Forry and state Rep. Daniel Cullinane said they are hopeful the MBTA would consider re-issuing another RFP for the site. “I believe there would be multiple interested parties if RFP went out today for that land,” Cullinane said. The T’s Pesaturo said another RFP would be re-issued only if the charter school’s deal falls through and another potential buyer exists. If no potential buyers exist but the deal still falls through, the site will remain as-is,” he said. Groups interested in purchasing the site are “welcome to approach the MBTA at any time,” Pesaturo added.